When it comes to melting fat and building muscles, working out with weights is among the most effective. With a set, or two, of dumbbells (between 5 and 25 pounds), you can not only build your muscles to fitness but can also tone up your whole body. Perfect for your upper arms and shoulders, this simple exercise involves standing with feet about the distance of the hip apart. With a dumbbell in each hand, palms facing your body and shoulders over the pelvis, bend your knees a little, before raising the dumbbells to your shoulders. Now lower the dumbbells to the starting position to complete one rep. Two or three sets of 10-12 reps each are great to go. With feet spaced out just a little more than hip distance, this exercise has to be commenced in a plank position with a 5-pound dumbbell in each hand. Now lift your left hand to the ceiling, causing your torso to twist (don’t, however, let the pelvis twist along). Take the hand back to the floor before starting the same procedure on the other side. Do 10-15 such reps for excellent results. This one is simply great for your upper back and triceps. While keeping your back flat, lean forward and then bend your knees. 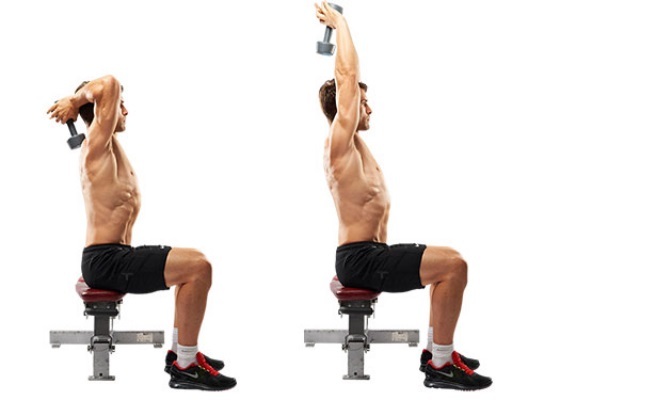 Follow it up with extending your arms to a straight position, before lifting the dumbbells up to your chest. To complete one rep, gently bring the weights back to the starting point. Two to three sets of 10-12 reps each are a good workout regime. With this workout, you can really build the muscles of your shoulders and upper back. Your knees should be slightly bent as you hold a dumbbell in each hand. Make sure your back remains flat as you bend forward at the hip joint. 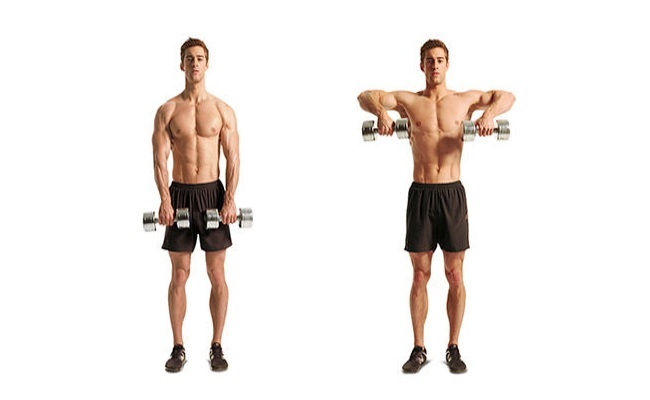 Now lift both arms to the side and then lower the dumbbells back to the ground. 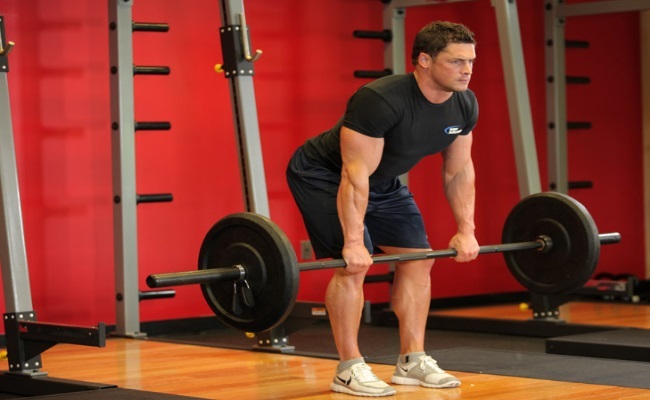 This one, again, works well with 2-3 sets of 10-12 reps each. This workout is excellent for the small muscles supporting the shoulder and also positively affects the upper arms. The scarecrow look is achieved by standing on one leg. So if you choose to stand on your left leg, start by raising the right knee till it levels with your hip. Now, with one dumbbell (5-8 pounds) in each hand, raise your arms out and extend them to the sides till the upper part of each arm is parallel to the ground. With elbows bent 90 degrees, rotate the upper arms forward to make your fists reach the floor. Next, rotate the upper arm backward so that the fists are lifted up. Complete 10-15 reps of this kind with each leg. 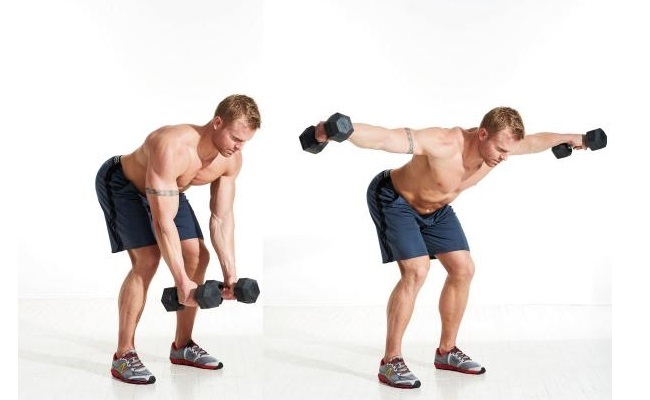 Using somewhat heavy dumbbells, bend your elbows behind your head. Now extend your arms straight up in front of you and lower them slowly. Repeat this through 2-3 sets (10-12 reps each) for stronger back muscles of the arms. As the name suggests, this involves lying on the back with hips and knees at 90 degree angles. Press your lower abs into the mat on the ground, raising your arms to the ceiling, palms facing each other. With the elbow joint somewhat bent, open out your arms to the sides till your elbows are just about two inches from the floor. Lift your arms back to the ceiling so that the weights (5-10 pounds dumbbells) are over your chest. Repeat about 15 times. You’re definitely going to burn several calories while shaping up your glutes and gams with this one. 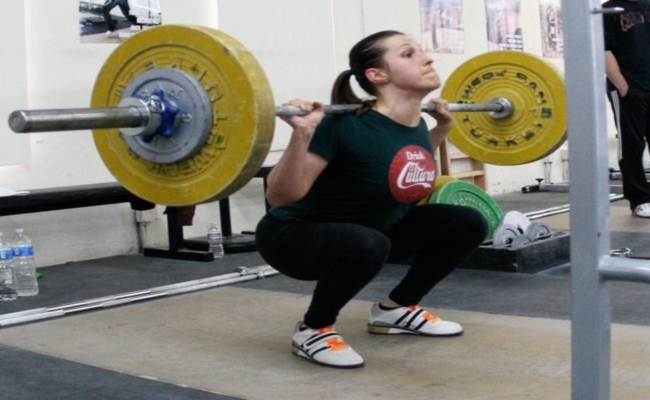 Keeping your feet under your hips and one dumbbell in each hand, just sit in a squatting position, putting your weight in your heels till your thighs are parallel to the floor. Now stand up while raising the weights to your shoulders in a curling position. Keep moving your arms upward while carrying out an overhead press with palms facing out. Finally, bring your arms back down to your sides and repeat the process 10-15 times. This is another type of squat and curl workout that’s good for the middle arms and the lower body. Keep your arms straight and palms facing away from your body, with dumbbells in both your hands. There should be about 20 inches between the heels, with the toes slightly pointed out. Next, bend your knees and elbows simultaneously, keeping the shoulders over the hips. When you straighten your arms and legs, you’re through with one rep. Count 2-3 sets of 10-12 reps each. Try this out with 25-pound dumbbells, keeping one in each hand with your feet a little wider than the hips. As you sit back to squat, make sure the weight is in your heels and your chest is lifted, while the bottom of the dumbbell touches the floor. Stand up now to complete 1 rep and repeat for about 15 times.